This image might look like one big head of lettuce. It is actually hundreds of tiny young heads about the size of a few ribbons each. They are densely packed together in a row, in order to protect each other from the sun and stay moist and tender until picked. 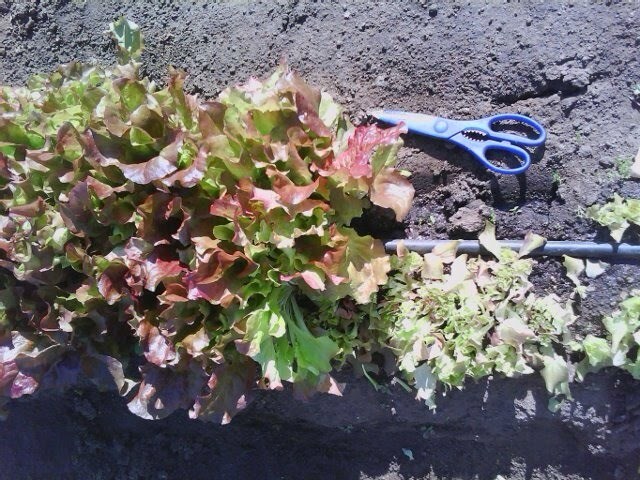 Harvesting this lettuce is more like giving a hair cut! 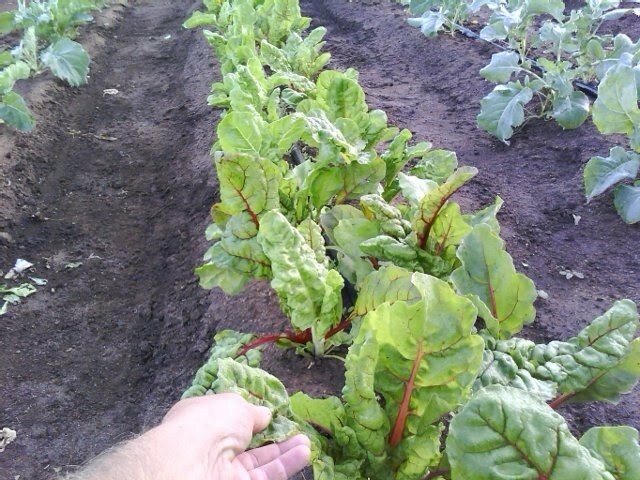 It is a cool blog about how this woman has worked with her CSA box every week. Also she has a listing on her front page of about 10 other blogs like hers. Kohlrabbi can most easily be used by steaming, chopping and adding to a salad cold. Steam kohlrabbi until flesh can be penetrated with a fork, remove skin and cube and put in frige to cool. Halve and cut avocados into pieces. peal and segment mandarins. Add mandarins and avocado pieces and kohlrabbi to a bowl of arugula and lettuce greens. Dress with vinaigrette. Add nuts and feta cheese if available.